Home Features How Does EMC Matter to Global OEM Drives User-Specifiers? How Does EMC Matter to Global OEM Drives User-Specifiers? Electromagnetic compatibility (EMC) is the ability of electrical/electronic equipment to operate in its installation environment while neither causing nor experiencing electromagnetic interference (EMI). EMI is any interference with normal equipment operation caused by abnormal energy entering the equipment either by conduction though wiring connections or by radiated wave reception. Radiated EMI is also called radio frequency interference (RFI). Conducted EMI is also called high-frequency line noise. Codes and Standards in the U.S. In the U.S., there are no codes and standards that specifically and completely cover electromagnetic compatibility of adjustable frequency drives (AFDs). For drives with the most comprehensive electromagnetic compatibility, specifiers should require drives to meet the IEC 61800-3 EMC standards and emission limits for restricted distribution, and installation in the first environment. Manuals should be required to include instructions for installing the drive equipment so that it meets the specified emission limits as installed. A drive’s microprocessor is not likely to be a significant source of EMI. The most significant potential source of EMI and RFI in a drive is the power switching circuitry. This potential is largely unrelated to the design of the microprocessor or other type of control circuitry. EMI is generated in a drive by switching the output terminals back and forth between the positive and negative sides of the DC bus to synthesize an AC output waveform. Each time the output transistor switches operate, the terminal voltage jumps (in a 480 V drive) from 650 volts of one polarity to 650 volts of the opposite polarity. This nearly instantaneous voltage change has the potential to generate a significant amount of radio frequency energy. Evaluating the drive as a microprocessor controlled “digital device” does not correctly target the most significant source of EMI. Since the applicable requirements are not very specific or restrictive, almost any drive could be said to meet the requirements of Part 15 without actually providing a significant level of electromagnetic filtration. A drive could be required to meet the conducted and radiated emission limits listed in Part 15 for a Class A or Class B digital device, but Part 15 does not contain or specify a testing procedure that is designed for use with drives. Without specifying a suitable testing procedure, any declaration that a drive meets the specified limits might be suspect. The conducted emission limits listed in Part 15 were revised in 2002 to “harmonize our domestic requirements with the international standards developed by the International Electrotechnical Commission (IEC), International Special Committee on Radio Interference (CISPR)” [see FCC 02-157]. The CISPR 11 standard provides a suitable test procedure for testing drives to verify conformance with these limits. The radiated emission limits specified by CISPR 22 are lower than the limits listed in Part 15. Accordingly, in 2003, Part 15 was revised to include 15.109(g): “As an alternative to the radiated emission limits shown in paragraphs (a) and (b) of this section, digital devices may be shown to comply with (CISPR) Pub. 22 (1997)” [see FCC DA 03-3848]. CISPR 22 covers digital devices, while CISPR 11 covers industrial scientific and medical equipment. The U.S. Food and Drug Administration encourages manufacturers of electromedical equipment to use CISPR 11. In the European Economic Community, the EU Council Directives set standards for various products. Many of these standards are derived from standards written by the International Electrotechnical Commission (IEC). 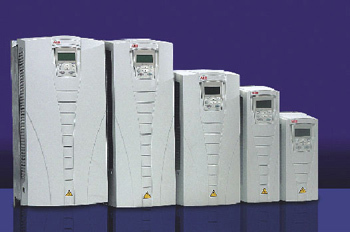 The EMC Product Standard for Power Drive Systems, EN 61800-3 (or IEC 61800-3) is used as the main standard for adjustable speed drives. This standard contains test procedures that are specifically suitable for drives and the standard is quite comprehensive. It covers both the drive’s electromagnetic emissions and its immunity from received emissions. “Restricted distribution is a mode of sales distribution in which the manufacturer restricts the supply of equipment to suppliers, customers or users who separately or jointly have technical competence in the EMC requirements of the application of drives.” The installer must install the drive in conformance with the instructions provided in the installation manual. Drives that meet the above requirements will typically meet the technical requirements of FCC Part 15, including the emission limits for a Class A digital device.